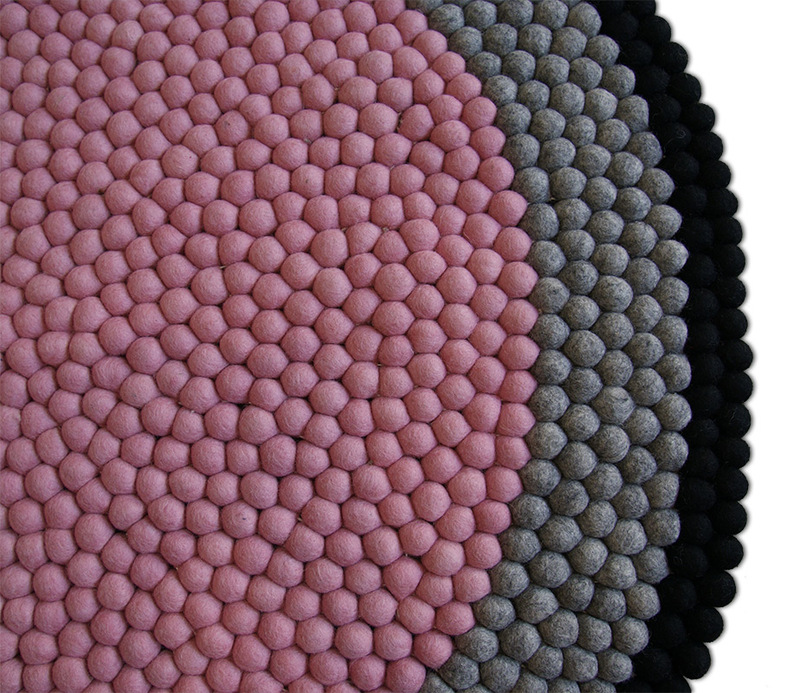 Our new Hattie rug has been inspired by our love of Scandinavian design. With it's warm dusty pink inner circle and natural grey and black outer rings, it's sure to make a statement in any home. 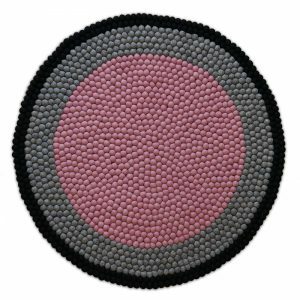 The Hattie is super soft and hand stitched using over 3,000 felt balls making it perfect for both adults and children alike. 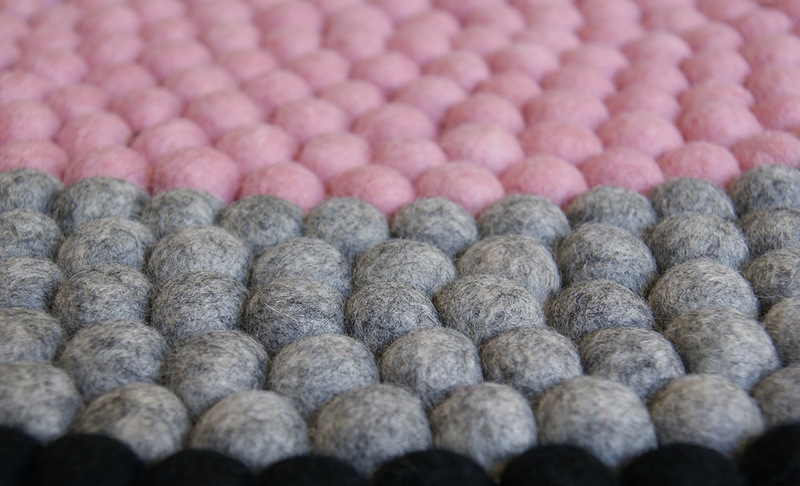 We import all of our wool from New Zealand and the rugs are made from 100% wool. Our rugs are Azo-free and eco-friendly dyes have been used. We are very proud of the quality of our rugs and not only are they durable but our team of artisans have carefully stitched everyone by hand, no glue has been used meaning you can enjoy your rug for years to come!